American Express appears to be testing the waters of fixed price redemptions with this limited time promotion via American Express Travel. Along the same line as RBC Avion or CIBC Aventura you can redeem a set amount of points up to a maximum ticket price then pay for taxes and fees with your card or points. Now if you recall just over a week ago we released our special feature on flexibility and called out programs like Avion and Aventura as being the least flexible with charts like these as you can potentially lose value if the ticket price is way lower than the maximum set out. Same thing goes here, if you redeem points for a really cheap ticket on one of the four eligible routes, you're losing value. However, where American Express differs is they allow you to choose to the fixed points redemption or the TripFlex option. 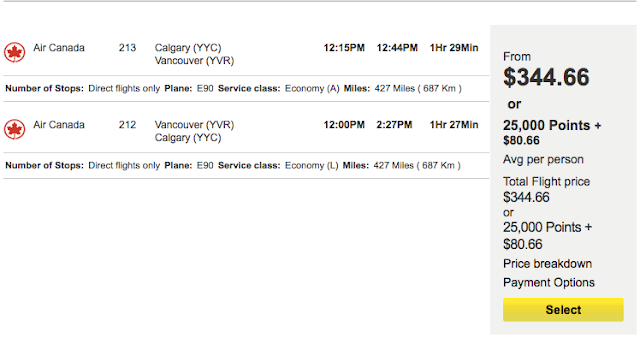 So if we take the Vancouver-Calgary option and the base ticket price is more than $250 you would use the Fixed Point Redemption but if the base ticket price is less than $250 you would just charge the flight to your American Express Gold Rewards Card or The Platinum Card from American Express and then when the charge shows up on your account you then use the TripFlex option to redeem points against it. Whereas Avion and Aventura your stuck redeeming the fixed rate of points regardless of the price of the ticket. At the moment there are only four routes eligible for this Fixed Point option and they are available until October 30th. 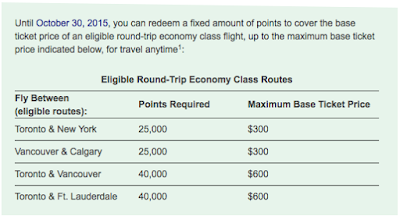 Redeeming your points with the Fixed Points Redemption Option is as easy as 1, 2, 3! Visit americanexpress.ca/travel and log in to your account. With this Fixed Points option above your 40,000 points gets you $561.00 in value whereas TripFlex would only get you $400 and you fly on a Boeing 777! With this Fixed Points option above your 25,000 points gets you $264.00 in value whereas TripFlex would only get you $250. 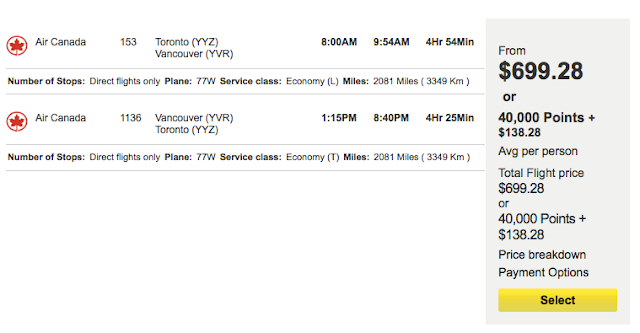 Ultimately if you redeem via Fixed Price Redemption or TripFlex or both you should earn Aeroplan Miles on these flights (or WestJet Rewards dollars if you choose WestJet) as these are paid revenue tickets! Are you going to take advantage of this offer? 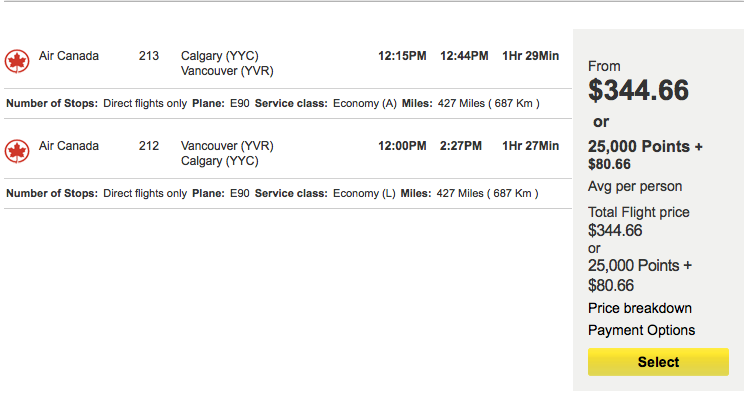 Since this runs over the busy travel season I personally may just look into it for the YYC-YVR flight.